How does travelling from Chicago to San Francisco with a bunch of strangers on a train with little to no internet access (outside of poor cell coverage) sound? Strange? Oh right, forgot to mention that you’ll be making video games during the entire thing, that it’ll span a total of some 52 hours, and that… it’s a thing called Train Jam. A thing that’s scheduled to return, come spring 2019. Groovy stuff. No showers available on the train either, which might be off-putting for some, and unless you splurge for a bedroom ticket, sleeping in a reclining chair will have to do for rest. Still interested? Great! I mean, it is after all just a two-days-and-change trip and you’ll be too busy working on your game anyway. That is to say, if you manage to pick up a ticket… once they go on sale. Which they aren’t. Yet. If prior years are any indication, they’ll be available come late November or early December, so keep an eye on the website around that time. Just in case. Because there are only so many seats on the California Zephyr. Also, in case this helps pique your interest: any and all submissions from Train Jam 2019 will be playable at the official Train Jam booth at GDC 2019, attendance not required to have your game partake in this groovy thing. You probably should consider going if at all possible though, GDC being a pretty big thing and all, but again, not required. 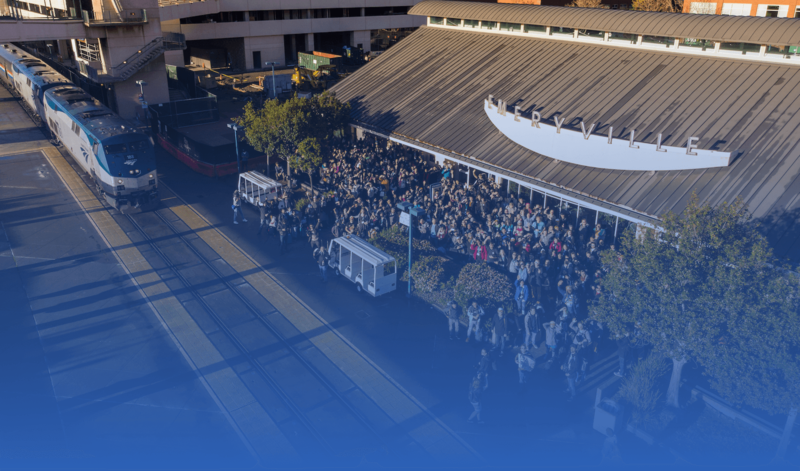 Now, before you get all giddy and jump at the chance to pick up one or more tickets for Train Jam 2019, be sure to hit both the FAQ and policies sections of the Train Jam website. Knowing is after all half the battle… or something along those lines. Holds true for game jams too, ya know.